When Jharkhand was still struggling for statehood, the founding fathers of the state had inked a thoughtful slogan comprising three words—Jal, Jungle aur Zameen (water, forest and land). Barely 15 years of existence and these words seem to be slowly fading from the political consciousness as the state readies for Assembly polls—the first phase of polling will be held on Tuesday. In the campaigns preceding polling, none of the political parties spoke about development-related issues like displacement, resettlement and rehabilitation policy, mining, forests and pollution. The issues were either feebly mentioned or written way down in election manifestos of the contesting parties. While the grassroots activists are claiming that the three key issues are being slowly sidelined by political parties to favour corporate houses, political parties refute the allegations, saying issues affecting land, water and forests have become more crucial. Activists commented that parties are this time more preoccupied with corruption, political instability and reforms. For instance, Jharkhand Mukti Morcha (JMM), which had nearly highjacked the slogan jal, jungle aur zameen, is contesting the Assembly polls on the major poll plank of administrative reforms. Four prominent parties in the election fray have one issue in common—corruption. Supriyo Bhattacharya, JMM general secretary, told Down To Earth that water, forest and land issues are still a prominent issues for his party but that the party has taken a step ahead to implement the three birth rights of tribal through administrative reforms. “Tribal right over water, forest and land cannot be ensured without a proper delivery system in place and tackling deep-rooted corruption. We are promising effective governance with accountability,” he said. JMM’s manifesto barely mentions the slogan on which it fought the three previous Assembly elections. It also forgot to mention the issue of domicile during the launch of manifesto. The party added the domicile issue later, terming it a printing error. The BJP manifesto, meanwhile, has given priority to political stability and tackling corruption. The party has barely mentioned issues of mining and displacement. It is focusing on clinching majority. “In the last three elections independents have created a dynasty of corruption and this has cast a shadow over water, forest and land issue,” said T S Rawat, BJP’s Jharkhand in-charge. Political instability in Jharkhand can be judged by the number of chief ministers it saw in 15 years. The state changed chief minister nine times and witnessed President’s rule thrice. Babulal Marandi’s Jharkhand Vikas Morcha (P) that always focused on tribal rights is focusing on three key issues—bhai, bhookh aur bhrastachar (fear, hunger and corruption). K K Poddar, spokesperson of the party, said that it is time to save water, forest and land from corruption. “Mining scams and corruption in government schemes have eaten up our natural resources. It is time to save it from corruption,” he said. Dayamani Barla, a grassroots activist who lost the last Parliamentary election, pointed out that BJP, JMM, JVM and Congress have ruled the state and they were the ones who spread corruption along with corporate houses. “There is no way they can justify the logic of nearly wiping out tribal cause and issues of water, forest and land,” she said. Barla alleged that the political parties are diverting the attention of voters from the real issue of natural resources and rights to corruption. She argued that corruption was spread by politicians and not the tribals working in iron-ore mines. 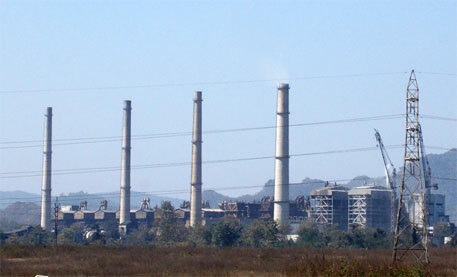 Vineet Mundu, coordinator of NGO Land Rights Campaign Centre, said that political parties are focusing on the issues that concern corporate and mining giants. He said an average tribal is still concerned about his land and forests. “Corruption is an issue that can be dealt with political willingness. Election is an opportunity to deal with people’s problem. Agenda of corruption is being set to dupe voters into thinking that land and forests are not the issue but corruption is,” he said. Notwithstanding corruption issue, political parties have fielded 55 candidates, comprising 28 per cent of the total candidates contesting Assembly elections, have criminal charges pending against them.